These days most evening wedding receptions start with a cocktail hour. A cocktail hour is a great way to entertain your guests while you and your new husband are off playing with the photographer and creating frame-able memories. Cocktails are great for many reasons. Firstly, the formalities are over and everyone can relax – what better way to relax than with a cocktail? Secondly, serving cocktails (and a few snacks) outside in the garden of your reception hall encourages people to mingle before they settle in the dining room. Ginger beer, orange juice and vodka make a great spicy drink that’s not too sweet. Serve in a short frosted glass with ice and two spanspek melon balls, or simply garnish the side of the glass with a slice of melon. Soak seedless grapes, slices of pear and slices of apple in sparkling rosé. Serve chilled from a punch bowl. Make a mixture of one part gin, one part honey and one part lime juice. 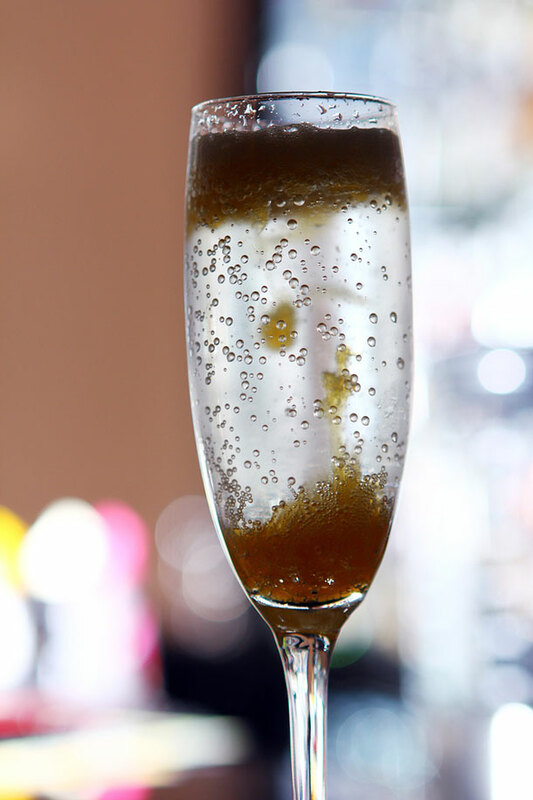 Add one shot of the mixture (or two depending on how strong you want them) to a champagne flute and top up with sparkling wine or champagne. Garnish with a slice of lime. Be careful – this one packs a punch! Mix together the puree from one watermelon (just pop the fruit in the blender) with lemonade, soda water and a bottle of tequila. Adjust the ingredients to suit your taste. Serve in a tall glass with ice and a funky straw. Freshly squeezed lemons, water, sugar and whiskey make a great grown-up version of the classic lemonade. Use 1 part sugar with 4 parts water and then adjust the lemon and whisky quantities to suit your taste. Serve in a whiskey tumbler with ice.